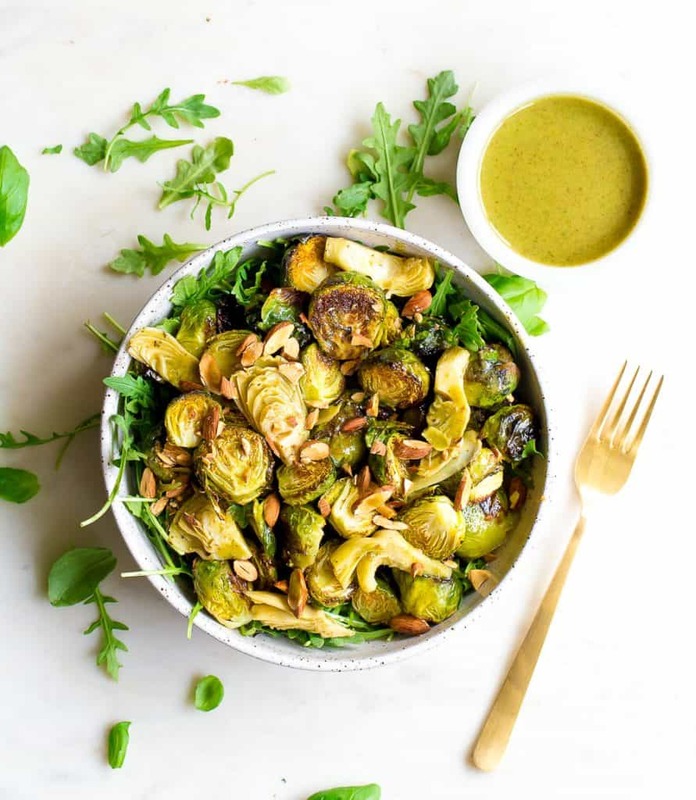 Say hello to spring with this vibrant and tangy Roasted Brussels Sprouts Salad! The addition of marinated artichokes adds a complete tangy punch that make this recipe so delicious. Paleo, Vegan, and Whole30. How are you celebrating the beginning of spring? For us it’s been a few days of rain and cold……… Perfect, right?!?! Yeah, not so much. I decided if I wanted some hints of spring, I was going to have to make it myself. A few things I’ve been doing all week: eating my weight in asparagus, adding marinated artichokes to everything I eat, fresh herbs with all meals, and eating more greens. Tis the season!!! During this time of year, I crave fresh greens and herbs. Even for breakfast! 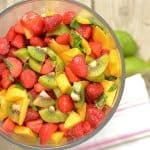 And since it’s been awhile since we’ve done a new salad here on Wholesomelicious……. I knew we were due. 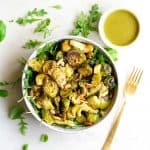 Besides the roasted brussels, my favorite part of this entire recipe is the MUSTARD BASIL VINAIGRETTE!!! So good you guys. 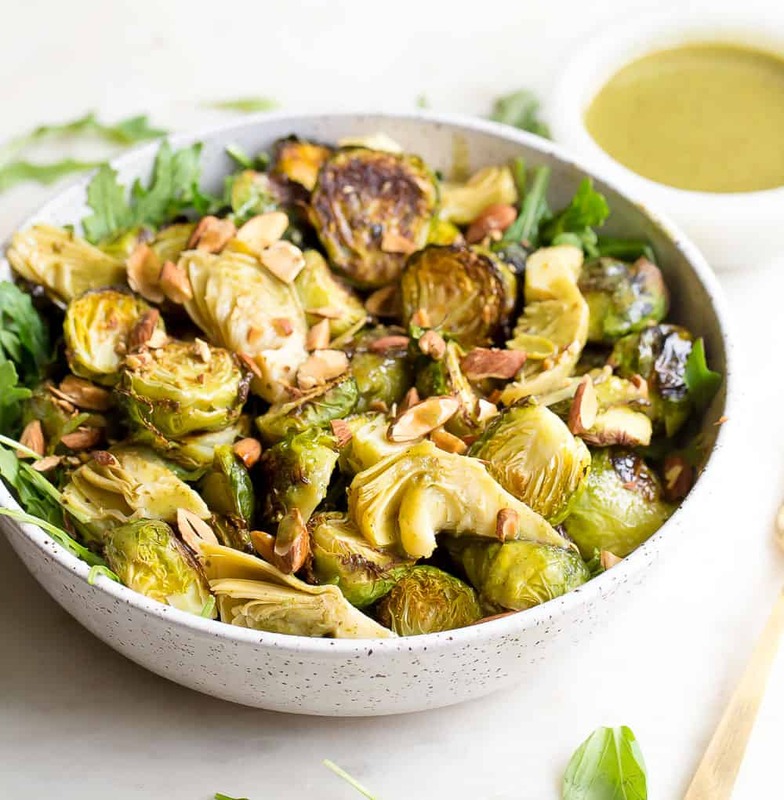 I knew that a tangy mustard sauce was going to work perfectly with these brussels, but adding the element of fresh basil to the dressing was a total game changer! Marinated artichokes also give that extra tangy flavor, and the softer texture works great with brussels. And those almonds I tossed in– just for that extra element of crunch!! 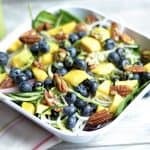 You could easily chop up raw brussels sprouts and even do this same salad with a more “shaved” brussels salad. If you wanted to skip the roasting part. Another variation is to roast fresh artichokes as well, and use the hearts in this recipe. The dressing might make more than you need, save inside a container and use for another salad. Trust me, you’ll be thrilled with this! 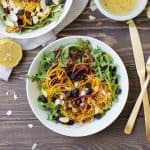 A few other variations: use spinach or another green in place or arugula, pine nuts would also be fantastic in place of almonds! Preheat the oven to 400 degrees. Grease a baking sheet with cooking spray. 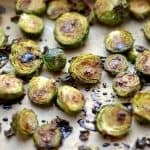 Cover with brussels sprouts, and lightly coat the brussels with oil and sprinkle with a bit of salt. Transfer to oven and bake for 15 minutes. 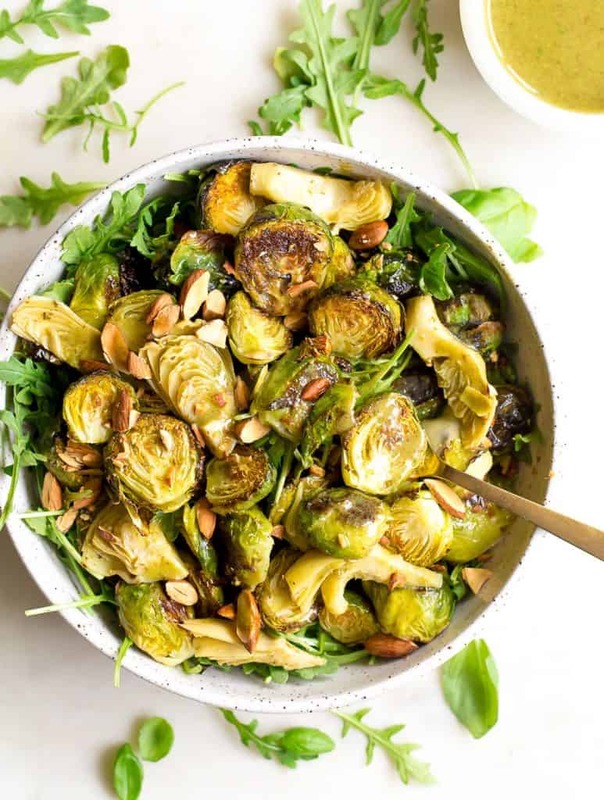 While brussels are roasting, make the dressing. In a high powered blender or food processor, combine oil, mustard, vinegar, ground mustard, garlic, sea salt, pepper, and fresh basil leaves. Blend until smooth. Assemble the salad with arugula and artichoke hearts. Once brussels are nice and toasty, remove from the oven. Top salad with brussels. Pour in approximately 1/2 cup of the dressing (reserve the rest for another use). Toss to combine ingredients and top with almonds.